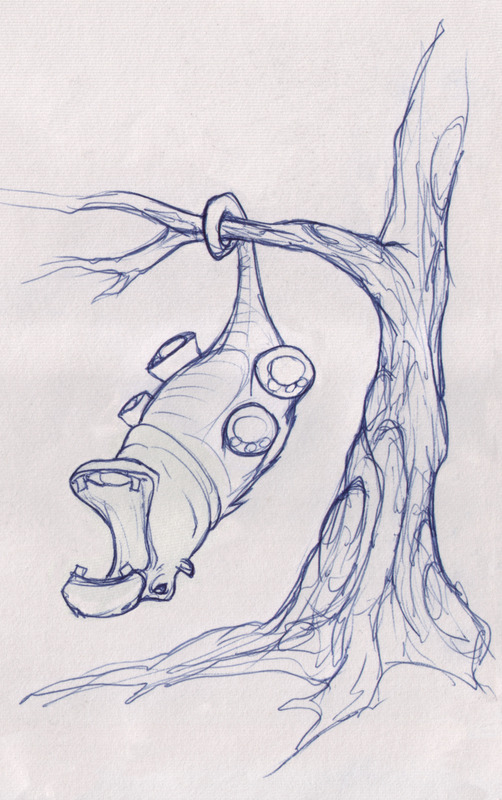 At its heart, my game is a hearty blend of Final Fantasy Tactics and Battletech mechanically (tactics on a hex grid), with a slight zombie flavor and a wacky premise with room for such weirdness as this hippopossum I sketched (yay for sketching in ballpoint pen!). My game uses something I’m calling the DNA Codex, a riff on those systems with some flavor for spice. It combines my older idea of autopilot character progression and high flexibility that I’m so fond of, up to and including the potential to “break” the game. 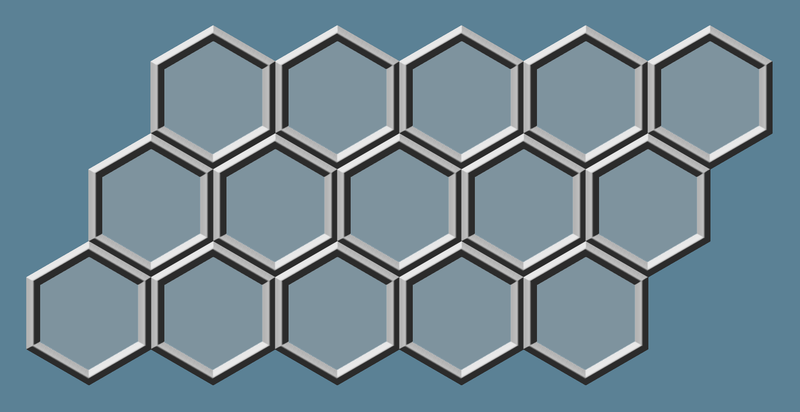 In a nutshell, it’s a customizable grid (3 rows of 5 hexes at level cap, 2 rows of 3 at level 1) that allows a bit of “skills-based” wiggle room within a sort of “class-based” shorthand. I really want to reward exploration and experimentation within the game’s systems, without penalizing those players who just want to get on with things. Players who really dig into the system should be rewarded with varying levels of brokenness or crazy fun, while those who don’t want to bother with the “skills” can simply play and be assured of adequate tools to meet the challenges. It could almost be suggested that there’s a balance between broken near-abuse of the systems, which requires one sort of skill (“systems analysis” if we’re being generous, “munchkinizing” if we’re being snarky), and playing with the default tools, which requires a different sort of skill (better strategy and tactics, generally). There’s actually nothing that says those are truly mutually exclusive as far as players are concerned, as a player can have both skill sets, the balance comes in when considering pacing and player vs. computer play. Conquering the game’s challenges requires mastering one or the other or some balance of the two, allowing tactical geniuses to cruise through on their strengths, and munchkins to do their thing. Total mastery of both tactics and systems would be effectively overpowering the game. At least… on Normal mode. It might be noted also that there’s a third rail here that gets used in some games, but that I’m undecided on here. That’s the leveling fudge factor. Players in many games that incorporate levels as a character progression tool (and I am, though only 20 levels) can often forge their own edge by grinding for a while, making their characters stronger than they otherwise would be at a given point. On the other hand, some games totally ignore this, say, something like a Fire Emblem. Those games typically demand players learn the game and play near-perfectly. There are harsh punishments for failure and no opportunity to grind up experience and gear by killing inconsequential foes for a while to overpower the game’s challenges with brute force. Deep down, I really like the leveling fudge factor, as it is a way of letting players self-regulate the challenge of a game. On the other hand, some masochists love games that demand a lot of the player. I think in the end, I’ll include a leveling fudge factor, but turn it off for higher difficulty levels. It seems a fair compromise. This isn’t so much balancing game design elements against each other to make the game internally consistent and interesting, it’s balancing the game against the potential players. Perhaps it could be called a sort of “metabalance”, but considering that games tend to need players at some point, especially if there’s even a vague hope of commercial viability, it’s still something useful to consider. There needs to be a default setting, where the bulk of your target audience can handle the game and derive fun from the experience. In this case, as it’s a tactical game, I believe that I’m generally looking at a smaller audience, but one more acclimated to a harsher climate. Kinder, gentler difficulty settings might open the game to more players, but then, how many casual players pick up tactical games in the first place? I’m not convinced it’s a large number of people, which is sad, but a consideration for the market. Within the game itself, this “default” is the automated character progression I’ve written of. Players will automatically have their units on autopilot when it comes to developing the DNA Codex (though they will be notified the game is doing this, and they can override it at any time). A strength-based melee unit will automatically slot melee skills focused on strength into their Codex. 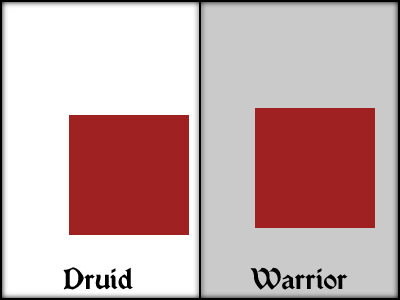 An agility-based ranged unit will pick appropriate skills, all without the player ever needing to dig into the Codex. Those skills will provide the player with adequate tools for the challenges at hand at relevant levels. On the other hand, someone with different tastes might dig into the Codex and start tuning their units to their particular playstyle and tactics. That’s where the RNA Codes come in. Here are a few for a strength-based melee unit: two special attack Codes, a five-cell Joust and a three-cell Grand Swing, one two-cell defensive Code, Counter, one three-cell healing code, Regenerate, and two single-cell utility Codes, Shove and Flare. These are the components that a character is built on. These typically offer specific tactical abilities or passive buffs for a unit, though there will be a variety of RNA Codes. 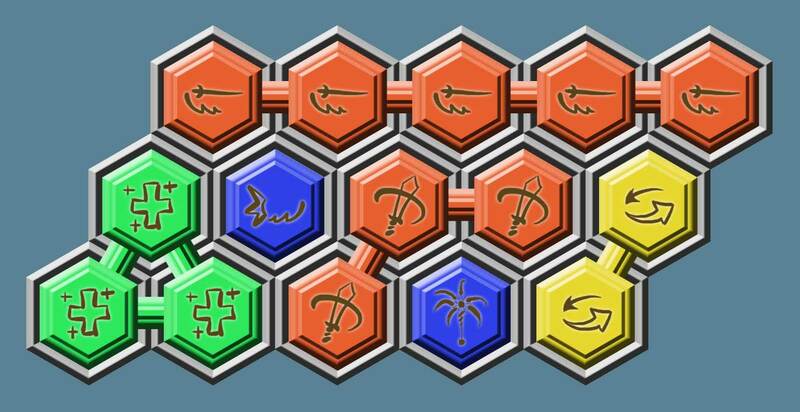 Because these are shaped specifically to fit into the DNA Codex in certain ways (there will be no rotation), there will be choices to make regarding which Codes are used in which combinations. A 5-unit long powerful Code won’t cooperate with a 3-unit tall utility Code, for instance, as they would overlap in the grid, and that’s not allowed. 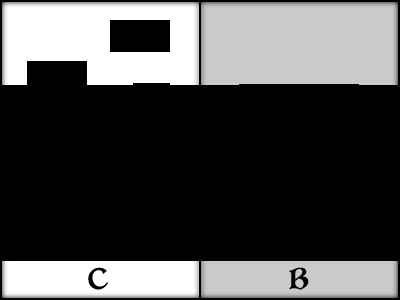 Players will choose which puzzle pieces are important to their particular game aims, and tailor their units to their preferences. It’s also probably worth noting that these RNA Codes are layered on top of a unit’s baseline abilities. In fact, you could even take all RNA Codes out of your unit’s Codex and play through the game, it would just be harder. Not impossible, just more difficult. (See also “No Sphere Grid” runs in Final Fantasy X.) While I actually like the ability to make “gimped” or dysfunctional builds, I’m going to assure that a RNA-free unit will be usable. RNA Codes will be bonuses, not baselines. Anyway, this article is already more massive than any of mine in recent history, so I’ll dig more into some more specifics of the design in another article later. I’d like to write a bit about some “Rock-Paper-Scissors” triangular balance elements that I’m using, and step back and show a bit more of the DNA Codex and some further implications of the design. If you’ve gotten this far, apologies for my long-windedness. There’s a lot to consider in game design, and it just all doesn’t fit neatly into 1000 words, even if there were One True Way to design games… which I don’t believe there is. Apparently the spirit of unrest so prevalent in Egypt and other assorted countries is making the rounds. Here in the U.S., Wisconsin is stirring up old debates about the nature of a Federalist government. And as usual, it’s about the money in the end. Or freedom and agency… but it’s easier to argue about money. Time to go ignore the world and finish up Dragon Quest V or go grind for a bit in some random MMO. Reality bites sometimes. May as well do something with measurable success, hm? The first game quickly establishes some quirky characters and ground rules for the Layton game world, notably the preponderance of puzzles and people who love them. 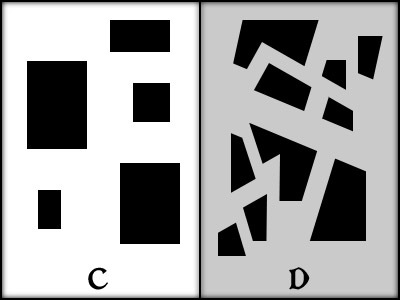 Smaller puzzles are nested in a larger mystery, though curiously, the player doesn’t solve that mystery so much as tag along. We’re introduced to a world that is oddly modern and yet antique at the same time, and a twist in the story introduces futuristic technology. It isn’t beholden to any particular time setting, so it can be “modern” for many players for years to come. The story is ultimately about the love of a father for his daughter and a test of character for our heroes. The second game pokes a bit more into Sherlockian waters by forcing the good Professor to find scientific explanations for some rather mythological and mystical mysteries. It steps back a little from the impossibly intricate technology in the first game, but still has absurd architecture and weird science. The underlying story is one of love lost, selfishness and sacrifice, reconciliation, and hope for the future. The first two games have heartfelt stories with surprisingly honest emotion, but the third game is even better. Yes, all three have tons of puzzles, and each gets progressively better with smarter puzzles and better controls… but here I’m talking about the good Professor himself. Professor Layton and the Unwound Future is Hershel Layton’s story. It’s heartrending, chilling, poignant, cautionary and engrossing. Not bad for a collection of puzzles on a handheld gaming platform. As further prelude, may I recommend a great article from before the third game from the gentlemen at Experience Points? Simply, Hershel Layton is a broken man, and The Unwound Future kicks him while he’s down, teasing him with hope and then removing a piece of his personal puzzle… again. Layton will be forever broken, forever searching to piece his life together, always frustrated. Solving other puzzles are his only solace, his only outlet for closure and resolution. In this, he is one of the most human characters in games that I’ve seen in a long time. He is damaged, but he soldiers on, hat firmly on his head. To be sure, there are other broken characters in the game. The primary antagonist proves to be a severely traumatized and sympathetic character, even after he engages in some domestic terrorism with a death toll likely in the thousands. The secondary antagonist is revealed to be almost as deeply wounded as the Professor, and far from an evil man. A villain from the earlier games is revisited and made far more sympathetic. The true villain of the story never receives his just rewards, and his story is left open. These political implications have strong connotations in today’s political world, and the game doesn’t grant fictional justice. Every character is asked to step up and accept painful truths and then be strong anyway, even when the world is hostile. Further, there’s a twist to the knife. The concept of time travel is presented as another mystery to be solved, and in true Layton style, a grand conspiracy and coverup are revealed. Time travel is revealed to be a scam… and then, agonizingly and astonishingly, it is revealed again as a reality. The Professor is granted a few precious moments with the love of his life, only to have her knowingly go back in time to her death. After convincing everyone that time travel isn’t possible, he finds that it most certainly is. After telling everyone to accept that they need to move on, and demonstrating that he’s willing to forgive even in the face of great loss, he is teased with the possibility that history could yet be changed, and that maybe, just maybe, the “bad” guys were right. The axis of his world is shifted, ever so slightly, and the careful pretense of rationality that he has held to is undermined again by the delayed results of the very event that shattered his life. …and then we see him cry. A gentleman, hat in hand, beseeching the heavens for peace he knows he will not see, even as the “what if” questions continue to eat away at him. How many of our sorrows are ignored by throwing ourselves into distractions or puzzles that have solutions? Is this not one appeal of games, that there are solutions to the problems in-game, if only we play enough or well enough? The character arc for Hershel Layton stands in contrast to that very nature of games, intentionally subverting his oft-repeated refrain “every puzzle has an answer”. These games have a lot of heart, especially for what could have been thinly veiled Brain Age-like games. While I find I disagree with the choice to hurt the good Professor the way they did in the third game… that I care at all is testament to the character and story. 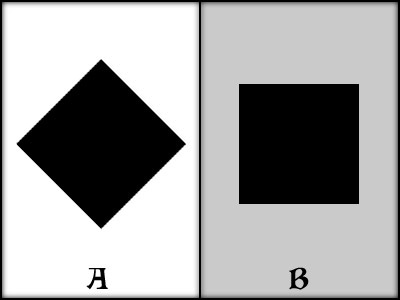 The left and right sides of this diagram are balanced. 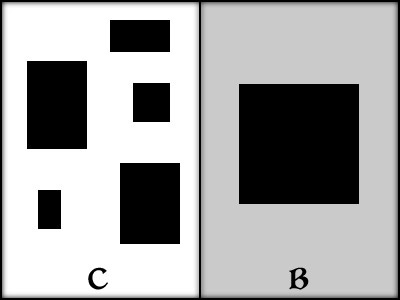 The left and right sides of this diagram are also balanced. So, that in mind, how about I change a couple of labels up there? Here’s where Street Fighter 2 comes in. I know I grossly oversimplify here, but there’s minor method to the madness. T. Hawk and Zangief are both mostly one-trick ponies; their strength lies primarily in grabbing the opponent and squashing them. Ryu is fairly well-rounded, with a decent air and ground game, as well as a few basic throw options. Dhalsim is also well rounded, albeit in different, tricky ways. 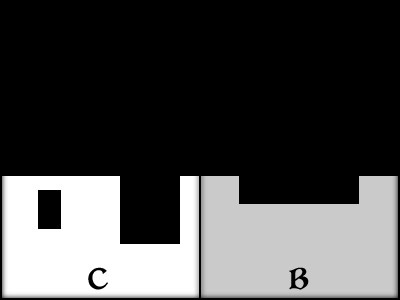 Every single one of those diagrams uses the exact same base, the same “piece of the pie”, I just sliced them up differently and pushed pieces around a bit. It’s largely an asymmetrical balance, but the variety is generally a good thing. Strictly speaking, if balance is only a measure of how much black each character gets, they are very precisely balanced. 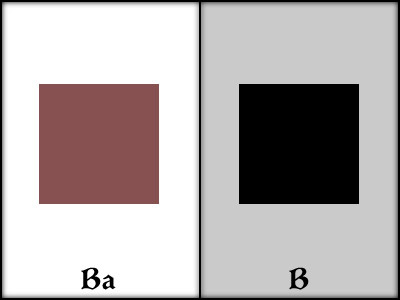 Y’see, if we want to get picky, the letters also contain black. 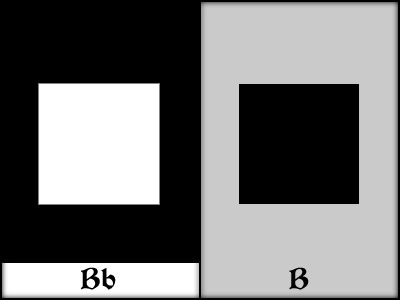 The right side of the figure also contains a measure of black in the slight grey background. Those are just noise, though, because I deem them such. 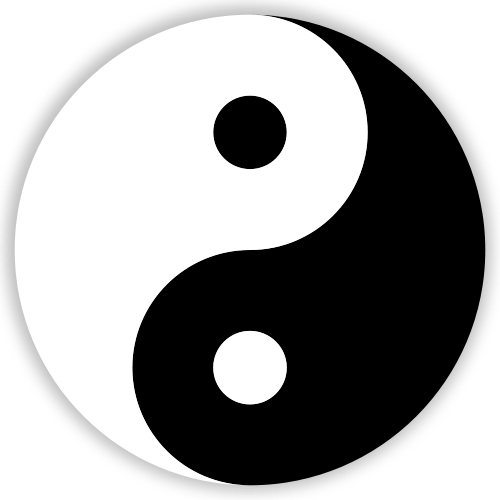 That inverse image mirror Zangief match actually does the Yin-Yang sort of balance, white vs. black. These corner cases exist, surely, but they aren’t part of the finely crafted balance I care about. Oh, sure, someone will nitpick about them, but since I’m the one crafting and defining the balance, those arguments don’t matter. 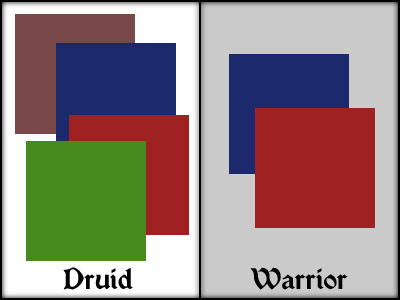 Yes, I know, Druid melee DPS is more akin to a Rogue, but for the sake of this (oversimplified) argument, it might also be suggested that all classes that specialize in melee DPS are balanced, just with some tweaks and different approaches. You get up in the bad guy’s personal space and bring the hurt. 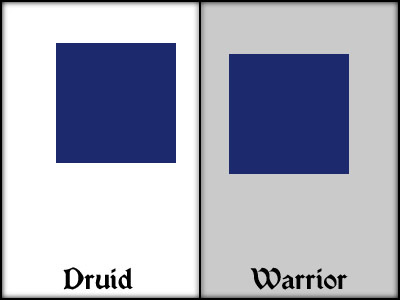 Similarly, a Mage and Druid could be compared in the ranged DPS (when the Druid is in Balance spec, anywho), blasting baddies from the peanut gallery. These role slices are balanced as opposed to the “big picture” being balanced, and I believe that’s the way it should be for something like WoW with its relatively inflexible roles. (You cannot switch from offense to defense in a flash like you do with Street Fighter 2’s gameplay.) This produces some quirks in game design when compared to SF2. For one, there are more ways to interpret things, so naturally, more excuses to nitpick. Two, even the designers can slip into thinking that the overall sense of balance matters more than the role, and wind up hobbling the multifaceted Druid in an effort to balance the big picture. For WoW’s design, the role is key, since that’s what gameplay is designed around. Tanks tank, healers heal, and DPS…ers kill stuff. You just can’t generalize and shift roles effectively at any moment. Three, the “metagame” and “class identity” really do matter to players, but mechanically, when it comes to balance, the function of moment to moment play (the roles) are more important. Those can clash sometimes, especially since so much of the gameplay is decided by the initial choice of class… and that’s a remarkably unchangeable choice made early in the game with little good feedback. So, lots of words to say “balance kinda sorta really, well… depends on how you look at it” with a subtext of “each game does it differently, for good reason”. Because sometimes, throwing “balance” out the window is actually a smart design choice. Shunting it off of center stage makes room for different sorts of play. Or different types of balance. Follow the link tied to that picture to find a fun LEGO spin on Escher’s work. I love Escher’s art. Remember… balance depends on how you look at it. It’s all… relative. Hey, someone else gets it. Shamus over at Twenty Sided wrote up a couple of articles that cover pretty much the same terrain I did a while ago. As with Super Meat Boy or 2008’s Prince of Persia, success in the challenges (the act of overcoming obstacles) has nothing to do with how painful punishments are (what happens if you fail). You still have to pass the reflex tests or execute the strategies. You’re just not kicked in the head if you fail in those games. This is a Good Thing in game design. Also, as a bonus, in the Escapist comment thread, Doctor Professor over at Pixel Poppers offered some links to articles he wrote on the subject. Great reading, those, and a blog I’ll be perusing a fair bit, I think. Bonus great article on the differences between Mirror’s Edge and Prince of Persia. First, the visual mess that Picasso makes sometimes by trying to use abstract art to represent concrete ideas. That’s just Cubism, in a nutshell, but game design is itself an exercise in abstraction, for better or worse. Sometimes we push the abstraction too far, and we lose the function or narrative. Picasso refused to explain Guernica, but that hasn’t stopped art critics from trying to derive meaning from it, sometimes several layers deep. Sometimes, that sort of analysis just isn’t warranted, and can actually detract from the artist’s intent. To paraphrase Freud, sometimes a horse is just a horse, and sometimes a game design element really doesn’t have a deep implication for balance. It really might just be as simple as it appears, and looking for deeper meaning (or deeper imbalances) isn’t useful. Second, that balance is what the viewer wants to make of it, as it’s almost always heavily abstracted. How exactly does one balance a Dragon Punch against a Sonic Boom, or Heroic Strike against Polymorph against Aquatic Form against Flash Heal? One’s perception of balance relies heavily on what metrics one is using. One’s appreciation of Guernica depends heavily on what metrics one is using. Your frame of reference and quantification methodology can make huge differences in calculating “balance”. Third, that a bit of education about the history and intent of a work of art can tease out new meaning. Context is king. Yes, a work should usually stand on its own, but sometimes those layers of information can lend narrative heft to a piece. Similarly, understanding exactly what the game designers were intending to do with a particular piece of the game design might help illustrate how it’s supposed to be balanced. Sometimes players don’t get that “background information” or “designer intent”, so their perception of balance can be considerably skewed. If they never get that information from the gameplay itself, how much extracurricular study are we demanding of players to actually understand what we’re trying to do with the game? Should we ask players to master the wiki to comprehend the masterpiece that is “balance” in our game? And, perhaps most importantly, balance is an art. It’s not easily quantified in anything beyond the most rudimentary games. As the art world has seen an incredible amount of diversity, so too will games. 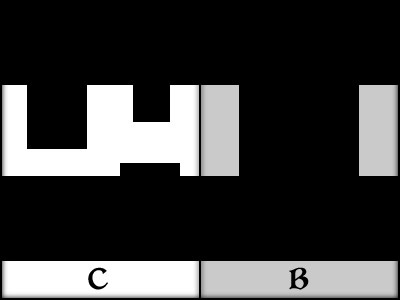 Some basic principles and elements of art can be seen in most pieces, despite the diversity, as many games will have some elements that they share in one form or another, whether across the whole spectrum of games (however that’s defined) or within a genre, and how exactly things wind up “genre-bending”. Some of those will be purely mechanical bits of form, some will be philosophical ruminations on the nature of the art form of games. Some may be obvious, some may be merely implications, some may be gross while others are subtle. Again, this is very similiar to the art world. As for the yang-heavy nature of Guernica, well, that’s an allusion to the story of the war in the painting’s subject… and the significant amounts of angst and even outright contention involved in the balancing of something like WoW and the player acceptance or rejection thereof. There’s no real comparison between the magnitude of the city’s destruction and the pithy troubles of game design or game playing, but I think it’s fair to look at art to try to understand other art. Microsoft likes A World of Keflings. We do too (enough to have made it in the first place and to still play it afterwards). Some of us are going to be playing the game tomorrow evening (between 8 p.m. and 11 p.m. EST on Thursday Feb. 3), showing off and answering questions. I hear there are also viral emotes to be contracted. More details to be found on our official NinjaBee blog thisaway. I know, I know, not everyone has an XBox. I’m more of a PC guy myself and only got the silly console a few months ago. Still, this is a good excuse to come play the game and maybe get some questions answered about how we made it. It might even be fun, however weird that might be in the gaming world.